Watched over and protected by the mischievous, invisible djinns, Delhi has, through their good offices, been saved from destruction many times over the centuries. With an extraordinary array of characters, from elusive eunuchs to the last remnants of the Raj, Dalrymple’s second book is a unique and dazzling feat of research. Over the course of a year he comes to know the bewildering city intimately, and brilliantly conveys its magical nature, peeling back successive layers of history, and interlacing innumerable stories from Delhi’s past and present. 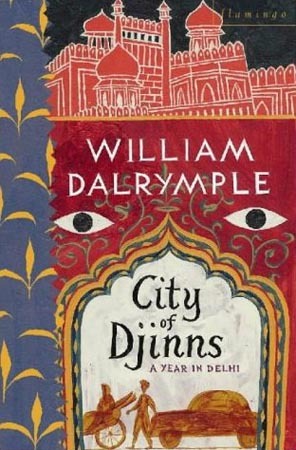 Alive with the mayhem of the present and sparkling with William Dalrymple’s irrepressible wit, City of Djinns is a fascinating portrait of a city.